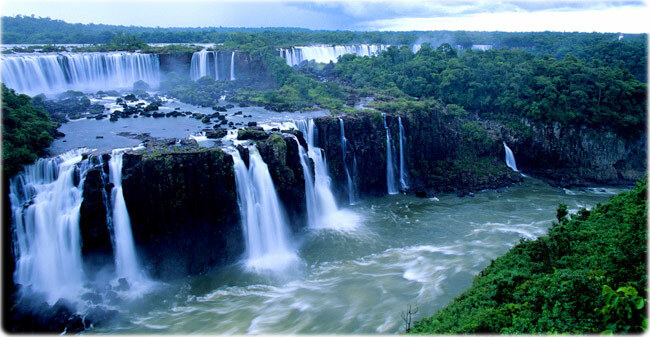 Brazil's lands was discovered by the Europeans in 1500. The first villages was founded in Bahia. It was ruled by Portugal until 1822, when Brazil became an independent country. After that, a huge number of immigrants, from Europe and Asia, arrived in search of a piece of land and a new life. Today, as a result, Brazil is a country with a very diversified culture, made by Europeans, Africans, Asians and native Americans. It is one of the world’s largest and most populous countries. Its size and diverse population provides great variety in the natural environment, culture, and economy. The nation’s natural beauty is reflected in a wide variety of geographic locations such as Rio de Janeiro, Salvador, Bahia, resorts, beautiful beaches and many others. The first Brazilian city and the first capital, in 1832, as seen by A. Early, the artist who accompanied Charles Darwin during the voyage of the Beagle. Salvador was a big city before the first colony was established in the United State in the 17th century. Darwin loved Salvador, he wrote: It would be difficult imagine, before seeing the view, anything so magnificent [..] The town is fairly embosomed in a luxuriant wood & situated on a steep bank overlooks the calm waters of the great bay of All Saints [...] in short the view is one of the finest in the Brazils. 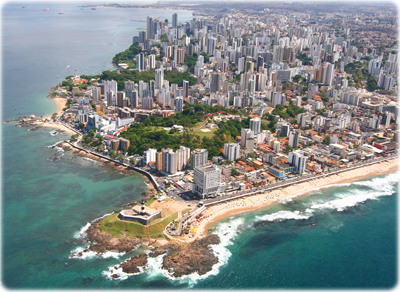 Today, Salvador is the capital of Bahia, the land where Samba and Capoeira was created. It has changed a lot, but still keeps its charming view. Salvador Bahia is the Brazilian historic heart. It was founded, in 1549, to be the first capital of the country. For more than two centuries it was one of the biggest and the most important cities in the Americas, loved by Darwin. Today, besides its beautiful beaches and historical heritage, the city hosts the biggest popular event in the world: Carnival in Bahia. 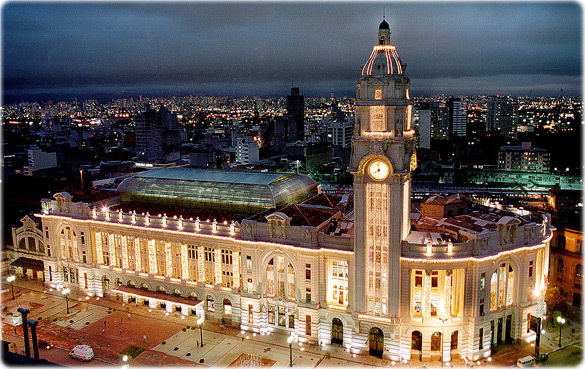 Estação Julio Prestes in São Paulo. The old train station is today a big cultural center. Trancoso beach in Porto Seguro, state of Bahia. 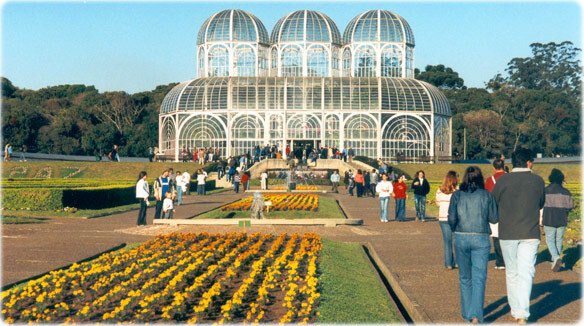 Copyright © Geographic Guide - Brazil, tourism and tourist attractions, Brasile. 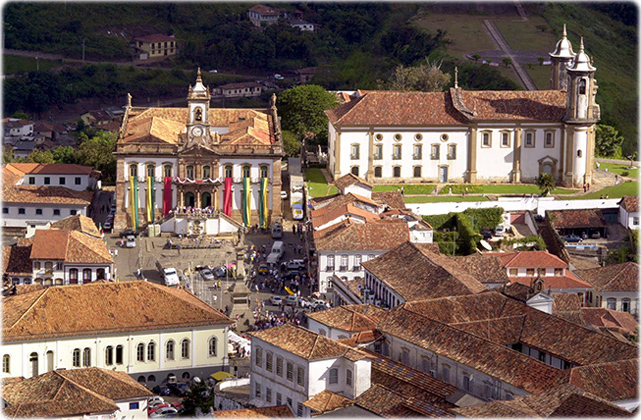 Ouro Preto, the most important historic city in Minas Gerais.